We present a detailed investigation of a photorefractive surface plasmon polariton system capable of coupling energy between two predefined surface plasmon modes with efficiencies up to 25%. We have investigated the dependence of the diffraction efficiency on the energy, the initial and final wavevectors of the surface plasmon modes, and the cell parameters. We have also developed numerical simulations of the system based upon the defect-free Q-tensor approach and rigorous diffraction theory, which fit the experimental data very well and have allowed us to develop a good theoretical understanding of the performance of these cells. 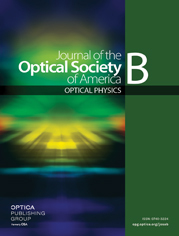 On the basis of the experimental results and theory we discuss the prospects that a hybrid liquid crystal photorefractive system could lead to photorefractive gain for surface plasmon polaritons.